Self storage is a great storage solution for any type of business including retail, restaurants, contractors or offices. Self storage is an option to store business files and office equipment, but it is also an ideal place for construction workers, contractors, plumbers, electrician, and painters to store their tools and equipment during the “off-season” or during the construction project. A majority of small businesses, including contractors, plumbers and painters, work out of vans, trucks or out of their homes and do not have store front locations or buildings to store their equipment. The cost of renting a storage unit can be much lower than paying for rent and utilities for a storefront or a warehouse. By storing building materials and tools in a storage unit, contractors keep their overhead low and their business running well within their budget. Contractors also keep overall costs down by buying materials, supplies and tools in bulk and store them until these products are needed. Construction workers and contractors have to take their equipment to and from their work site every day. Having a self storage unit in a centralized place makes it much easier for the contractor to transport equipment easily. Keeping the tools and equipment in a self storage unit will also help to protect them from damage from weather or even vandalized if kept on a construction site. Small power or hand tools should be stored in plastic bins to keep them protected from dirt, dust and other types of damage. Organize like-sized tools together per plastic bin. The bins are also easy to stack and carry from the storage unit to a truck to a construction site. Make sure to label the boxes with its contents so you will be able to find the tool when you need it and then keep an inventory list of the tools that you have and where they are stored. 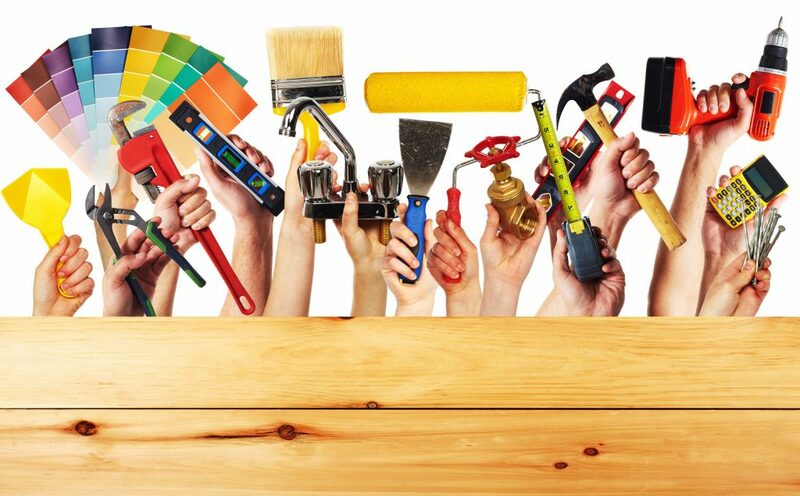 There are preparatory steps that need to be followed in order to get tools ready for storage. Read the manufacturer’s instructions to get details on how to store power or hand tools. It is important to follow the cleaning and storage instructions, especially for larger power tools such as power saws or drills. Clean tools after each use. Wipe down with a rag or towel to be sure that they are free of dirt, grease and debris. While cleaning the tools, check for damage or defects. If the tool cannot be repaired, then throw it away. Clean every metal surface on the tool with water and scrape away any soil and dirt. Completely dry the tool with a towel or rag before it is placed in storage. Do not place tools directly on the ground for storage. Place small hand and power tools on shelving or in a plastic bin. Tie together long-handled tools in a garbage can while in storage. Otherwise hang these tools on a wall in your garage or storage unit. Placing construction tools and equipment in a self storage unit is a great solution to keep them protected in storage. Storing in a self storage unit can be convenient for contractors because most storage facilities have drive-up storage units, which allows for easy access for the contractors to load and unload their equipment. Stop N Stor has computerized gate access allowing contractors 24/7 hour access to their tools and equipment. Security measures such as video surveillance, individual storage unit alarms and gated gate and building entry gives the contractor peace-of-mind that their equipment will be safe while in storage. Stop N Stor offers a variety of storage unit sizes from 5×5 to 10×30 for tools to larger equipment storage. Stop in to our 6 storage facilities in Hinesville, Port Wentworth and Savannah to find out more about how we can help construction companies, contractors, painters and plumbers keep an eye on their bottom line by storing their equipment in a self storage unit.